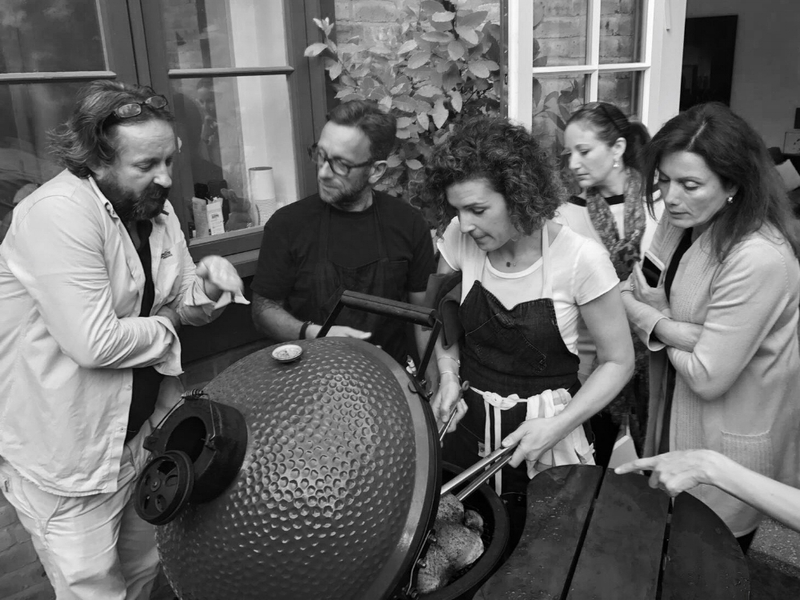 Cook with Building Feasts are a series of Cooking Classes run through the year by Hanna Geller Goldsmith and Jeremy Coleman. Friends - with a mutual love of food, photography, design, art and basically anything of creative beauty - will host a series of evenings at Hanna's home in Central London. Building Feasts are coming to Suffolk for an evening at The Merchants Table. We would love you to join us for a Seasonal Local Feast that we will demo from the bounty of beautiful local produce available at this time of year. We will show you how to make our favourite salads and sides for the season, perfect to share with friends. We will also include a selection of the infamous Building Feasts’ Fridge Basics - marinated feta, a vinaigrette and a pickle. The demo will run for an hour and then everyone will sit down together to eat the meal. We will start the evening with cocktails and nibbles from 7pm before sitting down to the demo, followed by a three course meal of sharing plates and conversation, Building Feasts style. Places are strictly limited and priced at £65. Farmers' X Building Feasts Aprons are here! Spring 2017 Class Schedule is here!